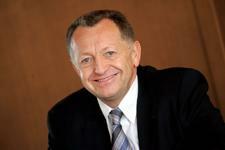 President Aulas sizes up the situation! Jean-Michel Aulas, President of Olympique Lyonnais, silences those criticising his club, his players and his technical staff. He pays tribute to this group of competitors. The will to win and a boundless ambition are still there. Has fortress OL been weakened by the defeat in the final of the Coupe de la Ligue? It was sad because it’s always sad to lose a final at the Stade de France in front of 35-40,000 OL fans who were there to cheer their team on. But our fortress isn’t weakened, it isn’t even in danger. Now we’re left with the opportunity to do something no European team has ever done: win a 6th consecutive championship. But there are certain things one needs to analyse in order to truly understand what has gone on for the last few weeks. Firstly, we really regret that this final took place after a double international week with 2 international matches. It’s true that OL represents the elite of French football, of European football. As such there are internationals who play in all the European teams. We had to help these players recuperate during the night on Wednesday. It was an extremely difficult operation for Gérard HOULLIER and all the staff, trying to prepare for a final against a team with practically no one missing. In fact, I think there were only 1 or 2 Bordelais who had been on national team duty. So on one side, we had 15 players, as well as the physical trainer who, for the previous 10 days, hadn’t been around. And on the other side, a quality team with a different style of game that hadn’t had to prepare for the international matches. A team that united on the pitch with a power and vivacity that OL was missing, for one moment in particular. But you can’t say that this objective analysis should lead one to doubt OL’s potential in future matches. Eliminated from the Coupe de France and from the Champions League, defeated in the Coupe de la Ligue, but still on track for a 6th league title, would some say OL has blown its season? [IMG41988#R]Some trivialise the achievement because it suits some people to do so. A season that is probably our best. Why? It’s highly likely that we will win our 6th title this season. We will end up with a record that is better than one could expect after a World Cup. Let’s not forget that our 12 players who were in the World Cup had no pre-season and missed the beginning of the French league. As a consequence in January and February, when everyone was wondering why OL’s game had slipped, it was clear the cause lay in the second half of 2006 and that our players were paying for having played in the World Cup. But look at our season as a whole. Many said OL had the best team in the first half of the Champions League. We secured the most points. Sure in the Coupe de France, we lost at the last minute against Marseille. But in Marseille, the Cup is a very, very big deal. It’s true too that the match against AS Roma was a disappointment. But in relation to previous years, we only went out one round earlier, in the last 16. And it’s also true that the Championnat de Ligue 1 organisation didn’t help OL. When we had a match to play against St Etienne on a Friday night, they prevented us from playing it on the Saturday afternoon, which gave us a handicapped preparation time in relation to our adversary AS Roma. [IMG41989#L]There are similarities between ROMA and BORDEAUX. Roma sent its reserve team to play in Empoli. BORDEAUX had all its players to prepare for the Coupe de la Ligue final. We did not have all our players. So you can see some similarities that gives us food for thought in the years to come and cause to ask the Ligue for the same protection in these cases it has provided to other teams in the past. And we’ll also ask for a season schedule that caters to the elite. I don’t share the pessimism going around at the moment. We will do everything we can to win this 6th title. I know the players consider it a point of honour to win the title. I have faith in them. We have a really extraordinary squad. We have a manager and assistants of the highest quality. I know they too will consider it a point of honour to break records with this 6th title, such that everyone will feel satisfied with an accomplished season. We’ve won at Marseille, Lens and Lille, we won at St Etienne and Sochaux. It’s extraordinary, as in my 20 years as OL president, I’ve dreamed of going and winning in these 5 regions of France where the league is played. Our quality of play in the first half of the year and the performances of the whole season lead me to believe it has been one of our best seasons ever. Nonetheless I’m still waiting impatiently to be declared French champions for the 6th time. You can see I don’t share the pessimism going around, a pessimism designed to destabilize the squad. Some don’t appreciate that OL will have been in the top three for the past 10 years. So we’ll do all we can and I’m confident the lads will cap off the season with some exceptional performances. I can tell you, I wouldn’t want to be the president of the clubs that will face OL in the coming weeks. There are 9 matches left. And our lads have been vilified and criticized when they haven’t deserved it. I would much rather be in my place than that of the other presidents. Is this Lyon team coming to the end of a cycle? [IMG41991#R]It’s been almost 7 years now that, after we have had an excellent season, someone asks me that question. I remember the day after our first title, when Sonny talked about leaving the club. The papers spoke about ‘disaster’. We were going to lose our best player but what followed showed we knew how to bounce back. One moment Sonny was gone then he was back and I’m very happy about it. There have been departures every year, sometimes managers more often than players. We always managed to find stronger players, while nurturing young talents who could one day stake a claim on the senior team. It will be the same this year. It’s not the end of a cycle but rather the departure point for another great adventure. If we win a 6th title, we’ll be on track for a 7th. I can say that on a directorial level, we’ll do even more to ensure that we can perform not only in the league but in all competitions. Sure we will let some players go, you can’t have the same squad forever. But I repeat that it is not the end of a cycle. It’s a credit to a club to have 20 top-flight internationals in the squad. It’s natural that our players be in demand. It’s also natural that we resist and only let 1 or 2 go. And there will be contract extensions: those who have had faith in us for a long time and those who have obviously deserve to stay at Olympique Lyonnais. There will be some departures. It’s possible we might lower the number of professionals because when you have mostly internationals, 25 professionals is a lot. We could lower this number in order to allow some younger players from our youth academy to join the squad. There will also be some new arrivals. Everything is under control. We have discussed it all in depth with Gérard HOULLIER and Bernard Lacombe. We know in some detail what it will take to improve the squad, to make it even more competitive, so that we can arrive in 2010, when our new stadium will be opened, with the strongest team OL has ever seen. That means that in 2007 and 2008, Olympique Lyonnais will be even stronger than in 2006-07, during which I believe we have produced our best season ever. Fate is extremely cruel. No one would have said Bordeaux were in form. In truth, the Girondins have rather rediscovered how shut down a game and wait for their opportunity, a tactic that saw them finish second last season.